There are more than 60 therapeutic compounds in cannabis that are healing agents in medical and herbal treatments. The primary one is THC, and the effectiveness of therapy is directly proportionate to the herb’s potency or concentration of THC. Recent DEA reports of increasingly potent marijuana therefore represent a major medical advance; but, incredibly, the government uses these very numbers to solicit bigger budgets and harsher penalties. On November 5, 1996, 56% of California citizens voted for the California Compassionate Use Act (medical marijuana initiative) ending all legal state efforts to keep marijuana from being used as medicine by California citizens. Arizona citizens, in November 1996, also passed, by an even greater margin ~ 65% ~ a drug declassification initiative that included medical marijuana, backed by, among others, the late U.S. Senator Barry Goldwater. Arizona’s governor and legislature, exercising their veto override ability on their state initiative laws for the first time in 90 years, struck down this popular initiative passed by the people. Arizona citizens angrily responded by recollecting more than 150,000 signatures in a 90-day referendum period and promptly returned the medical marijuana initiative to the ballot for November 1998. The following explains how people will benefit when the freedom of choice of doctors and patients is once again respected. There is no pharmacological free lunch in cannabis or any drug. Negative reactions can result. 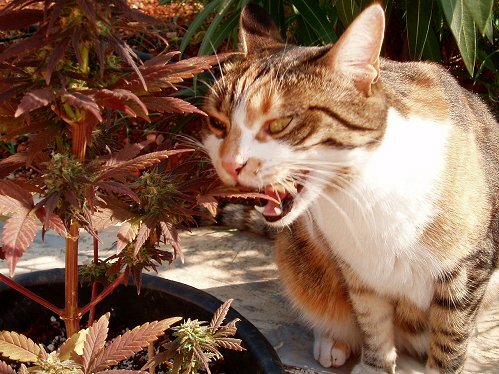 A small percentage of people have negative or allergic reactions to marijuana. Heart patients could have problems, even though cannabis generally relieves stress, dilates the arteries, and in general lowers the diastolic pressure. A small percentage of people get especially high heart rates and anxieties with cannabis. These persons should not use it. Some bronchial asthma sufferers benefit from cannabis; however, for others it may serve as an additional irritant. More than 15 million Americans are affected by asthma. 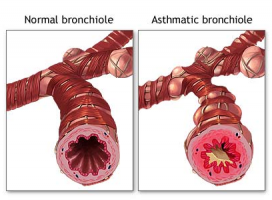 Smoking cannabis (the “raw drug” as the AMA called it) would be beneficial for 80% of them and add 30-60 million person-years in the aggregate of extended life to current asthmatics over presently legal toxic medicines such as the Theophylline prescribed to children. “Taking a hit of marijuana has been known to stop a full blown asthma attack.” (Personal communication with Dr. Donald Tashkin, December 12, 1989 and December 1, 1997.) The use of cannabis for asthmatics goes back thousands of years in literature. American doctors of the last century wrote glowing reports in medical papers that asthma sufferers of the world would ”bless” Indian hemp (cannabis) all their lives. Today, of the 16 million American asthma sufferers, only Californians, with a doctor’s recommendation, can legally grow and use cannabis medicines, even though it is generally the most effective treatment for asthma. Fourteen percent of all blindness in America is from glaucoma, a progressive loss of vision. Cannabis smoking would benefit 90% of our 2.5 million glaucoma victims, and is two to three times as effective as any current medicines for reducing ocular pressure! Cannabis use has no toxic side effects to the liver and kidneys; nor is there any danger of the occasional sudden death syndromes associated with the legal pharmaceutical glaucoma drugs /drops. 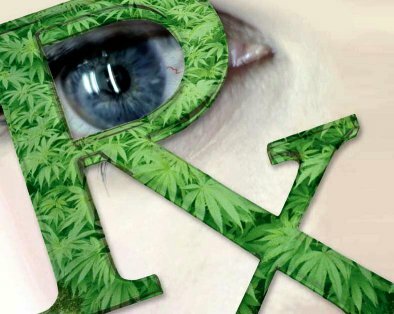 Many California eye doctors, through the 1970s, ‘80s, and ‘90s, discreetly advised their patients to use “street” marijuana in addition to (or to mitigate) their toxic legal glaucoma medicines. Since November 1996, California doctors can legally recommend, advise or tacitly approve cannabis use by their glaucoma patients who may then grow and smoke their own marijuana, or go to one of the 600 plus Cannabis Buyers’ Clubs to acquire medical marijuana. (Harvard; Hepler & Frank, 1971, UCLA; Medical College of Georgia; U. of North Carolina School of Medicine, 1975; Cohen & Stillman, Therapeutic Potential of Marijuana, UCLA, 1976; National Eye Institute; Records of Bob Randolph/Elvy Musika, glaucoma patients who receive 300 joints a month from the federal government 1975, 2007), Tashkin, Dr. Donald UCLA, 1976 -2007. A tumor is a mass of swollen tissue. Researchers at the Medical College of Virginia discovered that cannabis is an incredibly successful herb for reducing many types of tumors, both benign and malignant (cancerous). The DEA and other federal agencies had ordered these tumor studies done after hearing erroneous reports of possible immunicological problems associated with cannabis smoke. But, in 1975, instead of health problems, an apparent medical breakthrough occurred and successful tumor reductions were recorded! Following this remarkably positive discovery by the Medical College of Virginia, orders were immediately handed down by the DEA and the National Institutes of Health to defund all further cannabis/tumor research and reporting! Millions of Americans who might be alive today are dead because of these and other DEA orders regarding marijuana. In 1996 and 2006, the Medical College of Virginia again applied to receive grants for cannabis research and again were turned down by the DEA. Though it is known to be extremely damaging to the immune system, chemotherapy is claimed by practitioners to benefit cancer and AIDS patients. But chemo has some other serious side effects too, including nausea. “Marijuana is the best agent for control of nausea in cancer chemotherapy,” according to Dr. Thomas Ungerleider, who headed California’s Marijuana for Cancer research program from 1979 to 1984. This is also true in AIDS and even in the unsettled stomach common in motion sickness. Pharmaceutical nausea-control drugs come in pills that are often swallowed by the patient only to be thrown back up. Because cannabis can be ingested as smoke, it stays in the system and keeps working even if vomiting continues. Throughout the state’s 10-year Compassionate Marijuana Medical law, George Deukmejian, both as attorney general and as governor, with no regard for the suffering of dying cancer patients, made it virtually impossible for them to get cannabis. Former California Governor Pete Wilson was following the same course until the medical marijuana initiative passed in November 1996. Cannabis users’ epileptic seizures are of less intensity than the more dangerous seizures experienced by users of pharmaceuticals. 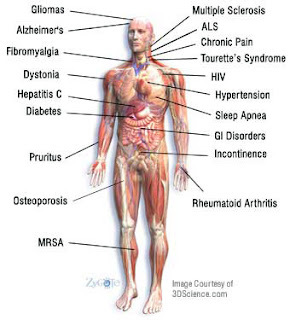 Similarly, smoking cannabis has proven to be a major source of relief for multiple sclerosis, which affects the nervous system and is characterized by muscular weakness, tremors, etc. 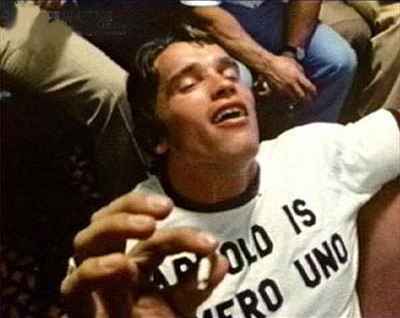 Aside from addictive morphine, cannabis, whether smoked or applied as an herbal pack or poultice, is also the best muscle relaxant, back spasm medicine and general antispasmodic medication on our planet. In September 1993, in Santa Cruz County, California, sheriffs rearrested epileptic Valerie Corral and confiscated the five marijuana plants she was growing for medicine even though 77% of the citizens of Santa Cruz voted in November 1992 to instruct local law enforcement not to prosecute medical marijuana users. Charges against Corral had been dropped earlier in March 1993 because she was the first person in California to meet all six points of a medical necessity defense. In 1997 Valerie, who runs a compassionate use club, was named Citizen of the Year in Santa Cruz. Young un-budded hemp plants provide extractions of CBDs (cannabidiolic acids). There are many antibiotic uses of the cannabidiols, including treatment for gonorrhea. A 1990 Florida study indicated its use in treating herpes. The acid side of tetrahydrocannabinol, cannabidiols occur inversely to the amount of the plant’s THC and is therefore more acceptable to prohibitionists because “it won’t get you high.” For virtually any disease or infection that can be treated with terramycin, cannabis derivatives did better in Czechoslovakian studies, 1952-1955. The Czechs in 1997 still published farm crop reports on strategies to grow cannabidiol rich hemp. 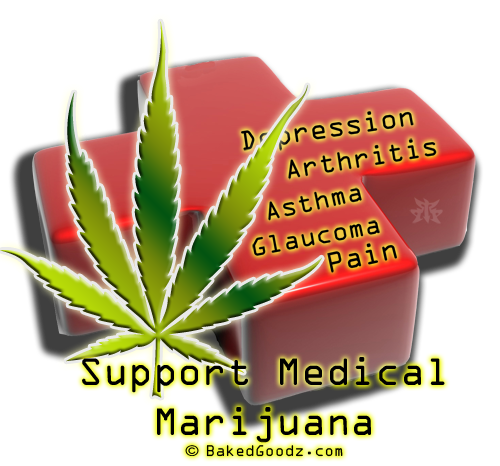 Cannabis is a topical analgesic. Until 1937, virtually all corn plasters, mustard plasters, muscle ointments, and fibrosis poultices were made from or with cannabis extracts. Rheumatism was treated throughout South America until the 1960s with hemp leaves and/or flower tops heated in water or alcohol and placed on painful joints. In fact, this form of herbal medicine is still widely used in rural areas of Mexico, Central and South America, and by California Latinos for relief of rheumatism and arthritis pain. Direct contact with THC killed herpes virus in University of South Florida (Tampa) research studies by Dr. Gerald Lancz 1990, and Dr. Peter Medveczky 2004, who warn that “smoking marijuana will not cure herpes.” However, anecdotal reports indicate a faster drying and healing of the outbreak after topical application of “strong bud,” soaked in rubbing alcohol and crushed into a paste. Marijuana smoke effectively dilates the airways of the lungs, the bronchi, opening them to allow more oxygen into the lungs. It is also the best natural dilator of the tiny airways of the lungs, the bronchial tubes ~ making cannabis the best overall bronchial dilator for 80% of the population (the remaining 20% sometimes show minor negative reactions). Millions of Americans have given up or avoided smoking tobacco products in favor of cannabis, which is not good news to the powerful tobacco lobby. A turn-of-the-century grandfather clause in U.S. tobacco law allows 400 to 6,000 additional chemicals to be added. Additions since then to the average tobacco cigarette are unknown, and the public in the U.S. has no right to know what they are. Many joggers and marathon runners feel cannabis use cleans their lungs, allowing better endurance. The evidence indicates that cannabis use will probably increase these outlaw American marijuana-users’ lives by about one to two years ~ yet they may lose their rights, property, children, state licenses, etc., just for using that safest of substances: cannabis. Cannabis lowers blood pressure, dilates the arteries and reduces body temperature an average of one-half degree, thereby relieving stress. Evening cannabis smokers in general report more restful sleep. Using cannabis allows most people a more complete rest with a higher amount of “alpha time” during sleep as compared with prescription or sleep-inducing patent sedatives. Prescription sleeping pills (the so called “legal, safe and effective” drugs) are often just synthesized analogs of truly dangerous plants like mandrake, henbane and belladonna. As late as 1991, doctors, pharmacists and drug companies were fighting off new legislation to restrict these often abused compounds (L.A. Times, April 2, 1991). Unlike Valium, cannabis does not potentiate the effects of alcohol. It is estimated that cannabis could replace more than 50% of Valium, Librium, Thorazine, Stelazine, other “-zine” drugs and most sleeping pills. It is unconscionable that, over the past two decades, tens of thousands of parents have committed their own children, aged 11 to 17, to be treated by massive doses of so-called “-zine” drugs in order to get them off pot, at the urging of parent groups, the PDFA, the feds and administrators and doctors from federally approved, private and high-profit drug rehabilitation centers. Often, “-zine” drugs do work to stop these youths from using pot. They also stop a kid from loving his or her dog, too ~ and children stand a one-in-four chance of suffering from uncontrollable shaking for the rest of their lives. * But at least they’re not high. *The U.S. Centers for Disease Control in Atlanta said that 20-40% of “-zine” drug users have or will develop permanent lifetime palsies (shakes), November 1983. These prescription neurotoxins are chemically related to the pesticide and warfare nerve gas Sarin. Hundreds of private drug-rehabilitation centers and their leaders keep this policy alive and in front of the media, often quoting discredited reports from NIDA or DEA (see Chapter 15, Debunking Gutter Science) ~ because they earn fat profits selling their useless or destructive “marijuana treatment” for children. This is mind-control and an attempt to destroy individual free will. 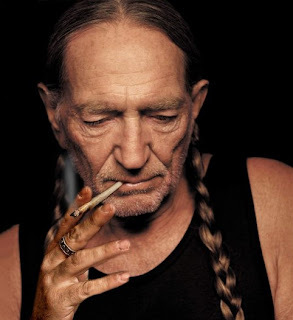 Medical research indicates that light cannabis smoking might be useful for a majority of mild emphysema victims. It would improve the quality of life for millions of sufferers and extend their life spans. The U.S. government and DEA (since l976) say the side effect of being “high” is not acceptable, no matter how many years or lives it saves; even though some 90 million Americans have tried marijuana and 25 to 30 million still smoke marijuana relaxationally, or use it responsibly as a form of daily self-medication, without one single death from overdose – ever! All research into the oxygen blood transfer effects caused by cannabis indicates that the chest (lung) pains, extremity pains, shallowness of breath, and headaches we may experience on heavy smog days are usually alleviated by cannabis smoking throughout the day. Dr. Donald Tashkin, the U.S. government’s leading scientist on marijuana pulmonary research, told us in December 1989*, and again in 2006, that you cannot get or potentiate emphysema with cannabis smoking! 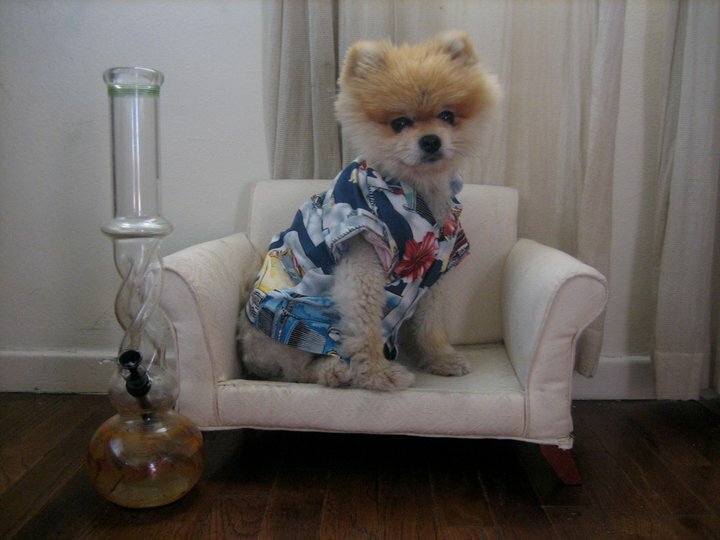 *See Tashkin’s Marijuana Pulmonary Research, UCLA, 1969-1997. Since 1981, this author has personally taken part in these studies and has continuously interviewed Tashkin on cannabis’ medical indications; last personal interview was in 2006. Most of all: it is best for the world’s number-one killer ~ stress. It can safely curtail or replace Valium, Librium, alcohol, or even Prozac, for millions of Americans. In contrast to marijuana’s safe, therapeutic action, benzodiazepine (Valium) abuse is the number-one drug abuse problem in the country, and is responsible for more emergency room admissions in the United States than either cocaine-related problems or morphine and heroin-related admissions combined. While tobacco constricts arteries, cannabis dilates (opens) them. Because migraine headaches are the result of artery spasms combined with over-relaxation of veins, the vascular changes cannabis causes in the covering of the brain (the meninges) usually make migraines disappear. Evidence of vascular change caused by cannabis can be seen in the user’s red eyes, which are extensions of the brain. However, unlike most other drugs, cannabis has no apparent effect on the vascular system in general, except for a slightly increased heart rate during the onset of the high. Users of marijuana often (but not always) experience “the munchies,” a stimulated appetite for food, which, at this time, makes cannabis the very best medicine on the planet for anorexia. Hundreds of thousands of Americans in old age, convalescent wards or hospital situations have anorexia. Most could be helped by cannabis ~ yet these Americans are being denied a healthy life by governmental policy dictated by government police! This effect can also extend the lives of victims of AIDS and pancreatic cancer (eat or die). However, the DEA and U.S. government prevented any research or use of cannabis in pancreatic cancer therapy since 1976. 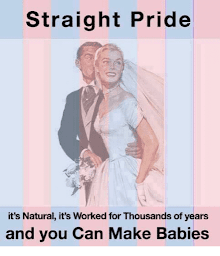 They have effectively allowed tens of thousands of people to die each year, denying them the right to live otherwise normal, healthy and productive lives. Marijuana smoking can help dry your mouth for the dentist. This is the best way to dry the mouth’s saliva non-toxically in what is known among smokers as its “cotton mouth” effect. According to the Canadian Board of Dentistry in studies conducted in the 1970s, cannabis could replace the highly toxic Probathine compounds produced by Searle & Co. This may also indicate that cannabis could be good for treating peptic ulcers. One well known effect of THC is to lift the spirit, or make you “high.” Cannabis users in Jamaica praise ganja’s benefits for meditation, concentration, consciousness-raising and promoting a state of well-being and self assertiveness. This kind of attitude adjustment, along with a healthier appetite and better rest, often represents the difference between feeling like you are “dying of” AIDS or cancer and feeling like you are “living with” AIDS or cancer. Cannabis also eases small pains and some big ones and helps senior citizens live with aches and pains like arthritis, insomnia and debilitating infirmities, and enjoy life in greater dignity and comfort. Legend has it, and medical evidence indicates, that cannabis is the best overall treatment for Alzheimer’s disease, dementia and senility, and for long-term memory “gain” and hundreds of other benefits. U.S. statistics of the 1970s indicated that you will live eight to 24 years longer if you substitute daily cannabis use for daily tobacco and alcohol use. New research is outlawed, of course. Every U.S. commission or federal judge who has studied the evidence has agreed that cannabis is one of the safest drugs known. With all its therapeutic uses, it has only one side effect that has been exaggerated as a concern: the “high.” The DEA says this is not acceptable, so cannabis continues to be totally illegal in utter disregard for both doctor and patient. We don’t put our doctors in charge of stopping violent crimes. The police, prosecutors and prison guards should not be in charge of which herbal therapies people may use to treat their personal health problems. Cannabis hempseeds contain all the essential amino acids and essential fatty acids necessary to maintain healthy human life. No other single plant source provides complete protein in such an easily digestible form, nor has the oils essential to life in as perfect a ratio for human health and vitality. Hempseed is the highest of any plant in essential fatty acids. 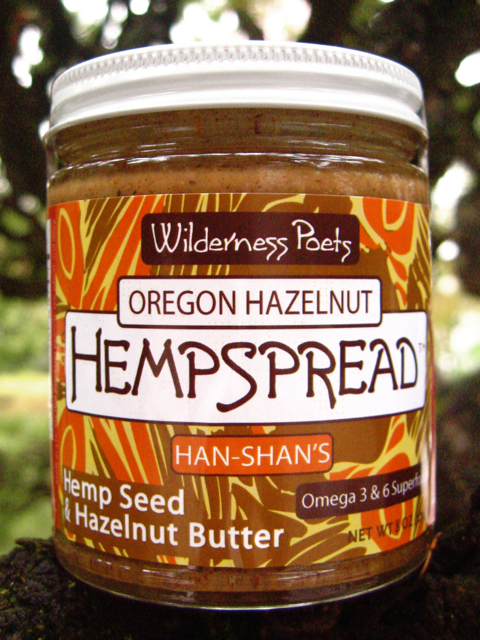 Hempseed oil is among the lowest in saturated fats at 8% of total oil volume. The oil pressed from hempseed contains 55% linoleic acid (LA) and 25% linolenic acid (LNA). Only flax oil has more linolenic acid at 58%, but hempseed oil is the highest in total essential fatty acids at 80% of total oil volume. These essential fatty acids are responsible for our immune response. In the old country the peasants ate hemp butter. They were more resistant to disease than the nobility. The higher classes wouldn’t eat hemp because the poor ate it. ~ R. Hamilton, ED.D., Ph.D. Medical Researcher-Biochemist U.C.L.A. Emeritus. LA and LNA are involved in producing life energy from food and the movement of that energy throughout the body. 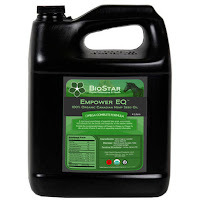 Essential fatty acids govern growth, vitality and state of mind. LA and LNA are involved in transferring oxygen from the air in the lungs to every cell in the body. They play a part in holding oxygen in the cell membrane where it acts as a barrier to invading viruses and bacteria, neither of which thrive in the presence of oxygen. The bent shape of the essential fatty acids keeps them from dissolving into each other. They are slippery and will not clog arteries like the sticky straight-shaped saturated fats and the trans-fatty acids in cooking oils and shortenings that are made by subjecting polyunsaturated oils like LA and LNA to high temperatures during the refining process. LA and LNA possess a slightly negative charge and have a tendency to form very thin surface layers. This property is called surface activity, and it provides the power to carry substances like toxins to the surface of the skin, intestinal tract, kidneys and lungs where they can be removed. Their very sensitivity causes them to break down rapidly into toxic compounds when refined with high heat or improper storage exposes them to light or air. Nature provides seeds with an outer shell that safely protects the vital oils and vitamins within from spoilage. It’s a perfect, as well as, perfectly edible container. 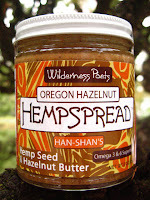 Hempseed can be ground into a paste similar to peanut butter only more delicate in flavor. Udo Erasmus, Ph.D. nutritionist says: “Hemp butter puts our peanut butter to shame for nutritional value.” The ground seeds can be baked into breads, cakes and casseroles. Hempseed makes a hearty addition to granola bars. Pioneers in the fields of biochemistry and human nutrition now believe cardiovascular disease (CVD) and most cancers are really diseases of fatty degeneration caused by the continued over-consumption of saturated fats and refined vegetable oils that turn essential fatty acids into carcinogenic killers. One out of two Americans will die from the effects of CVD. One out of four Americans will die from cancer. 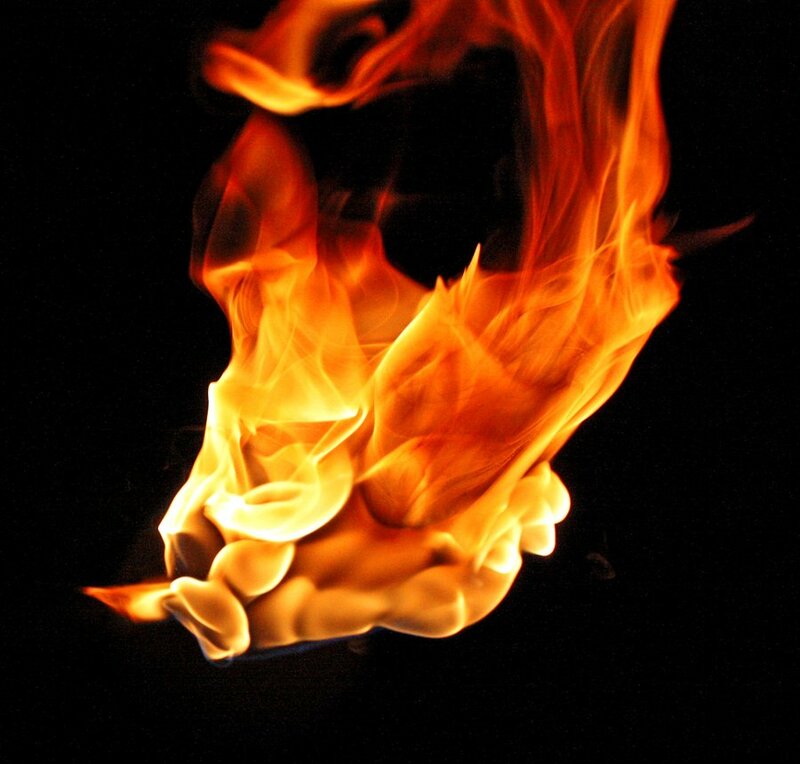 Researchers believe cancers erupt when immune system response is weakened. And more Americans are succumbing to immune deficiency diseases than ever before. Promising studies are now under way using the essential oils to support the immune systems of HIV virus patients. The complete protein in hempseed gives the body all the essential amino acids required to maintain health, and provides the necessary kinds and amounts of amino acids the body needs to make human serum albumin and serum globulins like the immune enhancing gamma globulin antibodies. The body’s ability to resist and recover from illness depends upon how rapidly it can produce massive amounts of antibodies to fend off the initial attack. If the globulin protein starting material is in short supply, the army of antibodies may be too small to prevent the symptoms of sickness from setting in. The best way to insure the body has enough amino acid material to make the globulins is to eat foods high in globulin proteins. Hemp-seed protein is 65% globulin edestin plus quantities of albumin (present in all seeds) so its easily digestible protein is readily available in a form quite similar to that found in blood plasma. The energy of life is in the whole seed. Hempseed foods taste great! They will insure we get enough essential amino acids and essential fatty acids, to build strong bodies and immune systems, and to maintain health and vitality. Please copy. Excerpted from Hempseed Nutrition by Lynn Osburn. Produced by Access Unlimited, P.O. Box 1900, Frazier Park, CA 93225. Of the 3-million plus edible plants that grow on Earth, no other single plant source can compare with the nutritional value of hempseeds. Both the complete protein and the essential oils contained in hempseeds are in ideal ratios for human nutrition. Only soybeans contain a higher percentage of protein. However, the composition of the protein in hempseed is unique in the vegetable kingdom. *Cohen & Stillman, Therapeutic Potential of Marijuana, Plenum Press, NY, 1976; Czech. Tubercular Nutritional Study, 1955. These essential fatty acids were used by Dr. Joanna Budwig (nominated for the Nobel Peace Prize every year since 1979) to successfully treat “terminal” cancer patients, as well as those suffering from cardiovascular disease, glandular atrophy, gallstones, kidney degeneration, acne, dry skin, menstrual problems and immune deficiency. “These essential oils support the immune system and guard against viral and other insults to the immune system. Studies are in progress using the essential oils to support the immune systems of persons with the H.I.V. virus. So far they have been extremely promising. Hempseed extracts, like soybeans, can be spiced to taste like chicken, steak, or pork and can be used to make tofu-type curd and margarine, at less cost than soybeans. Sprouting any seed improves its nutritional value and hemp can be sprouted and used like any other seed sprout for salads or cooking. Sprouted hempseeds make milk, just as soybeans do. Alan “Birdseed” Brady of Santa Cruz, California and Abba Das of Colorado use this milk to make a delicious and nutritious ice cream in many flavors that actually lowers cholesterol levels. “Hemp is a favorite [bird seed] because of its nourishing oily content.” (Margaret McKenny, Birds in the Garden, Reynal & Hitchcock, NY, 1939.) Incredibly, when cannabis hemp is grown for seed, half the weight of the mature, harvested female plant is seed! English and European fishermen who cast in fresh-water lakes and rivers first told me in 1995 that hempseed has always been the preferred bait in Europe for chumming ~ that is, casting the hempseeds on the water ~ causing the fish to scramble from all over to get the seeds, thereby getting caught. Not one of the many European fishermen I talked to knew that hemp seeds and marijuana were one in the same. So hempseed is the favorite of fish, as well as, most birds. The byproduct of pressing hempseed for its nutritious vegetable oil is a high protein seed cake. Hempseed cake was one of the world’s principal animal feeds until this century. * Hempseed can supply a nearly complete diet for all domesticated animals (dogs, cats), many farm animals and poultry, and allows animals maximum weight gain for less than current feed costs. And without any need for artificial growth steroids or other drugs currently poisoning the human race and food chain. Isn’t it strange ~ doesn’t it make you mad as hell ~ that the number one food of all time for most birds, fish, horses, humans, and life in general, is illegal to have naturally and healthfully in the United States of America, as ordered by the Nazi/Gestapo-like Amerikan Drug Enforcement Administration and, through them, the USDA? *U.S. Agricultural Index; Frazier, Jack, The Marijuana Farmers, Solar Age Press, New Orleans, LA, 1972; Fats That Heal, Fats That Kill, Udo, Erasmus, 1996. It’s no wonder that some Central and South Americans hate America and want us out: they see us as ignorant killers. For years, our government demanded the paraquat poisoning of their lands; lands these farmers had grown cannabis on by law since 1545, when King Philip of Spain ordered it grown throughout his empire to provide food, sails, rope, towels, sheets and shirts ~ as well as providing one of the people’s most important medicines for fever, childbirth, epilepsy, and poultices for rheumatism ~ in short, one of the oldest livelihoods, medicines, food staples and relaxational pleasures. 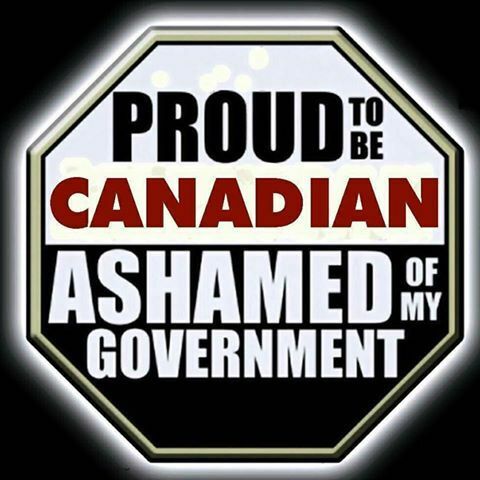 In South and Central America today, anyone who is caught growing their old staple, cannabis, has his land expropriated and is imprisoned by the U.S.-supported government/military leaders who then qualify for more American foreign and military aid in exchange for continuing this policy of wiping out cannabis. Our politicians, who made these marijuana prohibition laws based on years of disinformation (deliberate misinformation), may have doomed not only birds but also the human race to extinction from another direction. Many animals eat birds and their eggs. Birds in the wild are essential to the food chain; and they continue to diminish in population due to, among other things, petrochemical pesticides, herbicides and the lack of hempseed! With hempseed in their diet, birds will live 10-20% longer, have more offspring, and their feathers will have more luster and oil, allowing longer flight. 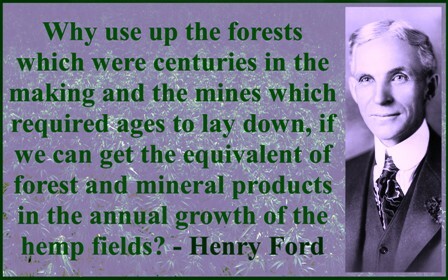 Prior to 1937, there were more than 10 million acres of seed-laden cannabis hemp growing wild in the U.S. al Earth. Hundreds of millions of birds fed off them as their Footnotes: favorite and most necessary food until our government began its policy of total eradication of this most primary link in the food chain. Oblivious to these inherent biocidal (killing all life) dangers, our government continues this insane policy to exterminate the Earth’s number-one life-giving plant both here and abroad. 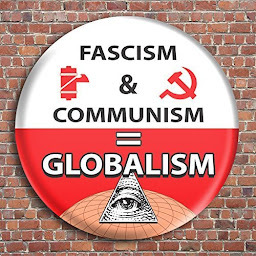 This was the recommendation of former Speaker of the House Newt Gingrich and his Republican congress along with many of their Democratic partners in crime against the natural Earth. 2. Morroson, R.T. Organic Chemistry, 1960; Kimber, Gray, Stackpole, Textbook of Anatomy and Physiology, 1943. 3. World Hunger Project, Save the Children, EST, Forum. 4. Frazier, Jack, The Marijuana Farmers, Solar Age Press, New Orleans, LA, 1972; also see Australian history books. 5. Teramura, Alan, University of Maryland study, Discover magazine, September, 1989; Congressional testimony of Ralph Loziers, National Oil Seed Institute, before House Ways and Means Committee, 1937. We have explained what hemp has historically meant to this country’s economy. Now, we must also consider the future of hemp. 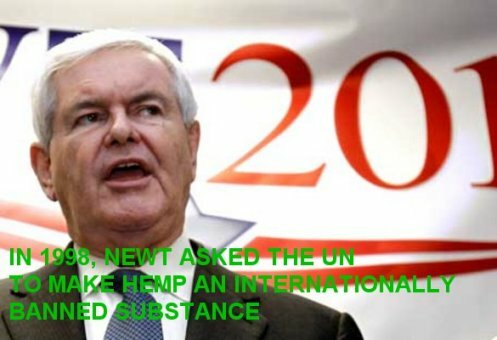 We predict that the net effect of ending American hemp prohibition will be to generate “ripple effect” economics ~ a revitalized American agriculture producing hemp as the raw material for a multitude of industries creating millions of good jobs for skilled and and semi-skilled professional workers throughout America. The resulting wealth will remain in local communities and with farmers, smaller businesses and entrepreneurs like you! The book Solar Gas, Science Digest, Omni magazine, the Alliance for Survival, the Green Party of Germany, the United States and others put the total figure of our energy costs at 80% of the total dollar expense of living for each human being. •Refineries and retail sales of Exxon, Mobil, Shell, So. California Edison, Con-Edison, etc. Eighty-two percent of all your money means that roughly 33 of every 40 hours you work goes to pay for the ultimate energy cost in the goods and services you purchase, including transportation, heating, cooking, and lighting. Americans (5% of world population) in our insatiable drive for greater “net worth” and “productivity,” use 25-40% of the world’s energy. The hidden cost to the environment cannot be measured. Our current fossil energy sources also supply about 80% of the solid and airborne pollution which is quickly poisoning the environment of the planet. (See U.S. EPA reports 1983-2006 on the coming world catastrophe from carbon dioxide imbalance caused by burning fossil fuels. The best and cheapest substitute for these expensive and wasteful energy methods is not wind or solar panels, nuclear, geothermal and the like, but the evenly distributed light of the sun for growing biomass. On a global scale, the plant that produces the most net biomass is hemp. It’s the only annually renewable plant on Earth able to replace all fossil fuels. In the 1920s, the early oil barons such as Rockefeller of Standard Oil, Rothschild of Shell, etc., became paranoically aware of the possibilities of Henry Ford’s vision of cheap methanol fuel, * and they kept oil prices incredibly low ~ between $1 and $4 per barrel (there are 42 gallons in an oil barrel) until 1970 ~ almost 50 years! Then, once they were finally sure of the lack of competition, the price of oil jumped to almost $60+ per barrel over the next 30 years. Conversion to biomass fuels should begin immediately to stop both planetary pollution and lemming-like genocide, and to make us naturally energy independent. Fuel is not synonymous with petroleum and coal. Biomass energy systems can supply a sustainable source of fuel and will create millions of new clean jobs. 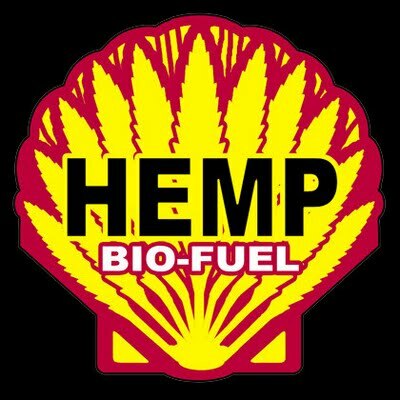 Hemp biomass derived fuels and oils can replace every type of fossil fuel energy product. During transpiration, the growing hemp plants “breathe in” CO2 (carbon dioxide) to build cell structure; the leftover oxygen is breathed out, replenishing Earth’s air supply. Then when the carbon rich hemp biomass is burned for energy the CO2 is released back into the air. The CO2 cycle comes close to ecological balance when the new fuel crop is grown the next year. Growing trees keeps 10 times the carbon dioxide in the Earth by keeping the infrastructure of the microbes, insects, plants, fungi, etc. alive for each tree. The older and bigger the tree, the more carbon dioxide is kept out of the atmosphere. Biomass conversion through pyrolysis (applying high heat to organic material in the absence of air or in reduced air) produces clean burning charcoal to replace coal. Sulfur emitted from coal fired boiler smoke-stacks is the primary cause of acid rain. Measuring acidity on the pH scale, the rainfall in New England falls between household vinegar and lemon juice. This is bad for every cell membrane the rain comes in contact with, doing the most harm to the simplest life forms. Charcoal contains no sulfur so, when it is burned for industry, no sulfur is emitted from the process. The biomass “cracking” process also produces non-sulfur fuel oils capable of replacing fossil fuel oils such as diesel oil. And the atmospheric CO2 doesn’t rise when biomass derived fuel oils are burned. Pyrolysis uses the same “cracking technology employed by the petroleum industry in processing fossil fuels. The gasses that remain after the charcoal and fuel oils are extracted from hemp can be used for driving electric power co-generators, too! This biomass conversion process can be adjusted to produce charcoal, methanol and fuel oils to process steam, as well as chemicals important to industry: acetone, ethyl acetate, tar, pitch and creosote. Hempseed contains 30% (by volume) oil. This oil has been used to make high-grade diesel fuel oil and aircraft engine and precision machine oil. Throughout history, hempseed oil was used for lighting in oil lamps. Legend says the genie’s lamp burned hempseed oil, as did Abraham the prophet’s. In Abraham Lincoln’s time, only whale oil came near hempseed oil in popularity for fuel. Hemp stems are 80% hurds (pulp byproduct after the hemp fiber is removed from the plant). Hemp hurds are 77% cellulose ~ a primary chemical feed stock (industrial raw material) used in the production of chemicals, plastics and fibers. Depending on which U.S. agricultural report is correct, an acre of full grown hemp plants can sustainably provide from 4 to 50 or even 100 times the cellulose found in cornstalks, kenaf, or sugar cane ~ the planet’s next highest annual cellulose plants. In most places, hemp can be harvested twice a year and, in warmer areas such as Southern California, Texas, Florida and the like, it could be a year-round crop. Hemp has a short growing season and can be planted after food crops have been harvested. An independent, semi-rural network of efficient and autonomous farmers should become the key economic player in the production of energy in this country. The United States government pays (in cash or in “kind”) for farmers to refrain from growing on approximately 90 million acres of farmland each year, called the “soil bank.” And 10-90 million acres of hemp or other woody annual biomass planted on this restricted, unplanted fallow farm land would make energy a whole new ball game and be a real attempt at doing something to save the Earth. There are another 500 million marginal unplanted acres of farm land in America. Each acre of hemp would yield 1,000 gallons of methanol, or 500 gallons of gasoline. Fuels from hemp, along with the recycling of paper, etc., would be enough to run America virtually without oil. FAMILY FARMS OR FOSSIL FUEL? 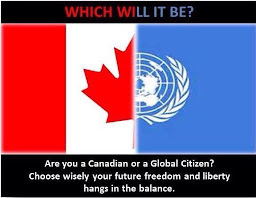 The last two choices are the only rational, life-sustaining choices. Farming only 6% of continental U.S. acreage with biomass crops would provide all of America’s gas and oil energy needs, ending dependence upon fossil fuels. Hemp is Earth’s number-one biomass resource; it is capable of producing 10 tons per acre in 4 months. Hemp is easy on the soil,* sheds its lush foliage throughout the season, adding mulch to the soil and helping retain moisture. Hemp is an ideal crop for the semi-arid West and open range land. *Adam Beatty, Vice President of the Kentucky Agricultural Society, reported instances of good crops of hemp on the same ground for 14 years in a row without a decline in yield. Beatty, A., Southern Agriculture, C.M. Saxton & Co., NY; 1843, pg. 113. USDA Yearbook, 1913. Hemp is the only biomass source available that is capable of making the U.S. energy independent. Ultimately, the world has no other rational environmental choice but to give up fossil fuels. The “catch” is obvious: The energy companies! They own most of the petrochemical, pharmaceutical, liquor and tobaccos companies, and are intertwined with insurance companies and banks. According to the press, many politicians now in power are bought and paid for by the energy companies, and their U.S. government arm is the CIA ~ “The Company”~ (Robert Ludlum, etc.). The Bush, Sr., Clinton, and Bush, Jr. Administrations were/are uniquely tied to oil, newspapers, pharmaceuticals ~ and the CIA. The world struggle for money is actually a struggle for energy, as it is through energy that we may produce food, shelter, transportation and entertainment. It is this struggle which often erupts into open war. 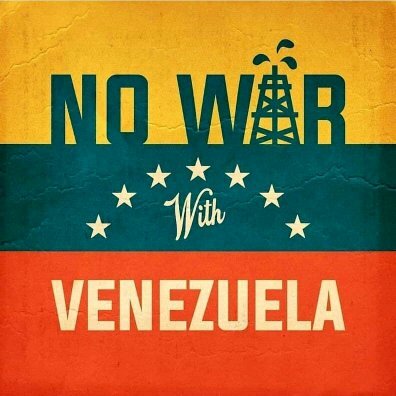 If we remove the cause, these conflicts may never occur. If introduced to Third World nations, hemp biomass could drastically cut our overseas aid and reasons for war, while raising the quality of life there by quantum leaps. New, non-polluting industries will spring up everywhere. The world economy will boom like never before. 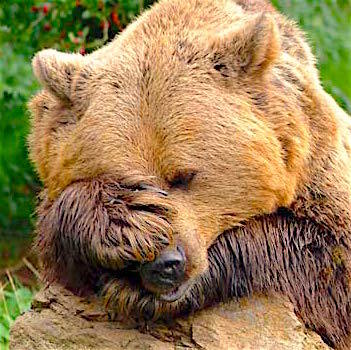 The race of man will at last be betting on environmental survival instead of indulging in the lemming-like (suicidal) consumption of fossil fuel, which threatens all life on the planet. There are many other areas of the economy that would benefit from ending hemp prohibition and the resulting stimulation of commerce in rediscovered hemp products, according to the Hempstead Company, Ecolution, The Body Shop, Hanf Haus, etc. Legal hemp will return billions of dollars worth of natural resource potential back to the farmers and bring millions of good jobs in energy production to America’s heartland. Hemp energy farmers will become our nation’s largest producers of raw materials. Family farms will be saved. Crops can be tailored to the needs of the nation. Hemp can be grown for BDF (biomass derived fuels) resources at about $30 per ton. Hempseed crops will again supply the paint and varnish industries with a superior organic and life sustaining alternative to petrochemicals. 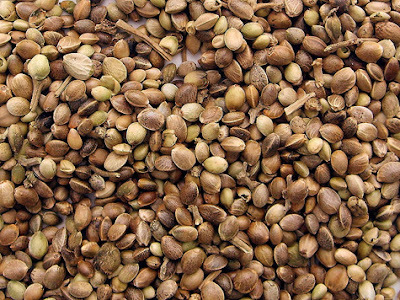 Hempseed oil has chemical properties similar to linseed oil. 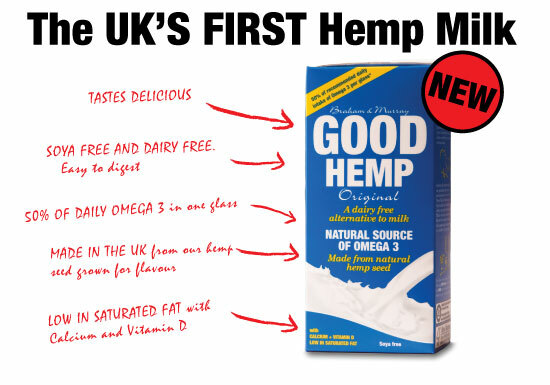 And the market is wide open for highly nutritious and delicious foods made from hempseed with its health-giving essential fatty acids and proteins. Hemp grown for fiber will take the paper and textile industry out of the hands of the multinational corporations, and back to the local communities. Drawing on hemp fiber’s special attributes: absorbency, insulation, strength and softness, clothing manufacturers and designers will once again put hemp into linen to produce new lines of durable and attractive clothing, rugs and textiles of all kinds. The arrival of imported hemp/cotton blended clothing from China in 1989 marked the beginning of a new era for the rapidly changing world of fashion. And now, in 2007, companies such as Hempstead Company (Laguna, CA), Hemp Connection (Whitehorn, CA), Two Star Dog (Berkeley, CA) and Ecolution (Santa Cruz, CA) all create beautiful and durable fashions and accessories from many varieties of 100% hemp fabric imported from China, Hungary, Romania, Poland, etc. While we applaud the efforts of these nations in supplying first-rate hemp fabrics, we look forward to the day when U.S. hemp fabric will share the runway! Outerwear, warm bed sheets, soft towels (hemp is 4 times more water absorbent than cotton), diapers (even disposable ones that you don’t have to cut down trees to make), upholstery, wall coverings, natural rugs, even the world’s best soap – all these can now be designed and made from 100% hemp; generally better, cheaper, more durable, and ecologically safer. Trade barriers on hemp and laws restricting the use of imported cannabis fibers must be removed. Right now textiles and apparel are the biggest share of imports into the U.S., at 59%. In 1989, textile imports accounted for 21% of the U.S. merchandise trade deficit. Foreign governments often subsidize their textile industries and do not require companies to follow environmental and health regulations. * Hardy hemp does not cause the huge range of environmental problems associated with cotton. The United States imports more textiles than anything else. The government no longer obstructs hemp textile and apparel importation. But hemp textiles will not be fully cost competitive until hemp fiber can be grown and processed domestically, avoiding bloated federal import fees and lowering the costs of transportation. The devastated environments and job markets of the American Northwest and other timber regions stand to make a dramatic comeback once hemp is re-introduced to the domestic paper industry. Recent studies indicate that depletion of the ozone layer threatens to substantially reduce world loblolly pine production (the major source of pulp for paper) by up to 30% or even 50%, depending on the fluctuation of the density of the ozone shield. But hemp not only resists the damage caused by increased ultraviolet radiation – it actually flourishes in it. Increased UV radiation causes hemp to produce more glandular oils and increases the weight of the plant. Paper mills can return to full production levels and loggers will find new work in hemp trades. Truck drivers can continue to haul pulp to the mills, and lumber for construction, although the price of lumber will go down as other demands on our timber resources are reduced by substituting farm grown hemp for forest grown wood pulp. There will also still be a lot of work to do in reforestation. Our rivers will go through a period of recovery when hemp replaces wood pulp in the paper industry, resulting in a 60-80% reduction of paper-making chemicals being dumped into them. This means more fish and more fishing, as well as increased camping and tourism in the beautiful and vital new-growth forest regions – and the spared old-growth forests. Cellulose is a biodegradable organic polymer. Coal tar, the primary resource for synthetic polymers like nylon, is a non-biodegradable fossil resource. It is not part of the living ecology of Earth. It smothers life wherever it is dumped or spilled. From hemp, a source of high-grade cellulose, comes paper that is stronger and has better folding endurance than wood pulp paper. * Hemp cardboard and paper bags will last longer, with a more useful secondary life, than similar products made from wood pulp or plastic. *Dewey & Merrill, Bulletin#404, U.S. Dept. of Ag., 1916. Biochemical resources obtained from hemp can be used in literally tens of thousands of products from paint to dynamite. Each application means new business opportunities and new jobs. As each new hemp trade develops, money will flow from it to re-energize seemingly unrelated areas of the economy. The American worker and soon-to-be-rich entrepreneurs will bring millions of new jobs and new products to the marketplace. They will also buy millions of homes, cars and other non-hemp goods ~ or will they be hemp also? ~ thus stimulating a real economic expansion based on the “ripple-out” effect, rather than former President Reagan’s voodoo “trickle-down” economics which, in fact, pumped money directly into the bloodstream of corporate America rather than benefiting America’s heartland. Revived farms mean more purchases of equipment and each new business creates spin-off jobs in the shipping, marketing and commodities areas. Farms, banks and investment houses would also realize large profits, and the billions of hemp-dollars in the legitimate economy would increase tax revenues and increase the liquid capital available for investment and purchasing of consumer goods. George Soros’ Lindesmith Foundation is supporting many of the medical marijuana and relegalization state initiatives currently going on around the United States. In fact, the Lindesmith Foundation financially supported Dennis Peron’s medical marijuana initiative (Proposition 215) in California, that passed in 1996. In 1997-98, Soros funded medical marijuana initiatives in such states as Washington, Oregon, Washington, D.C., Maine and Colorado, and helped fund the referendum that was successful in stopping Oregon’s legislature and governor from re-criminalizing cannabis in June 1997. When American farmers grow hemp to supply American industries with the primary feedstock for fiber, fabric, fuel, food, medicines, plastics and recreational/relaxational herbal products we will see a rapid greening of the land and economy. The green economy based upon the use of agricultural resources to supply industry will create a diversified locally based system of production. This decentralized green economy will enable everyone to participate and share in the wealth of a truly free market democracy. 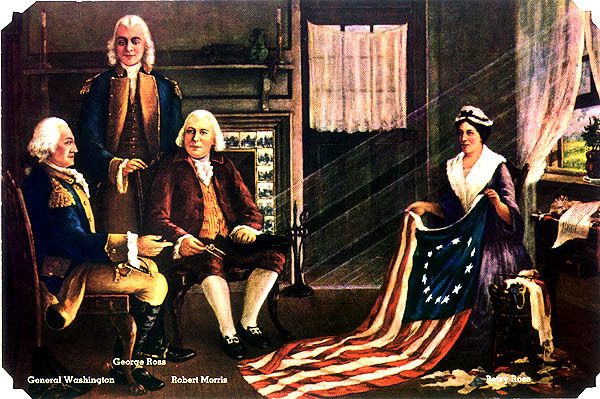 For there can be no true democracy unless every citizen has the opportunity to share in the wealth of the nation. Land reclamation is another compelling economic and ecological argument for hemp cultivation. Until this century, our pioneers and ordinary American farmers used cannabis to clear fields for planting, as a fallow year crop, and after forest fires to prevent mud slides and loss of watershed. Hemp seeds put down a 10 to 12 inch root in only 30 days, compared to the one inch root put down by the rye or barley grass presently used by the U.S. Government. Southern California, Utah and other states used cannabis routinely in this manner until about 1915. It also breaks up compacted, overworked soil. In the formerly lush Himalayan regions of Bangladesh, Nepal and Tibet there is now only a light moss covering left, as flash floods wash thousands of tons of topsoil away. Bangladesh literally means “canna-bis-land-people” (it was formerly called East Bengal province, a name derived from “bhang” (cannabis) and “la” (land). In the 1970s, Independent Bangladesh signed an “anti-drug” agreement with the U.S., promising not to grow hemp. Since that time, they have suffered disease, starvation and decimation due to unrestrained flooding. 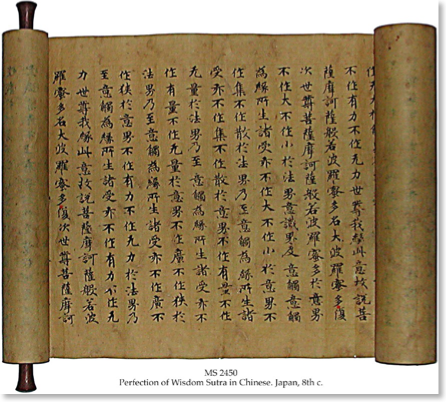 In early 1942, Japan cut off our supplies of vital hemp and coarse fibers. Marijuana, which had been outlawed in the United States as the “Assassin of Youth” just five years earlier, was suddenly safe enough for our government to ask the kids in the Kentucky 4-H clubs to grow the nation’s 1943 seed supply. Each youth was urged to grow at least half an acre, but preferably two acres of hemp for seed. “Patriotic” American farmers, from 1942 through 1945, who agreed to grow hemp were waived from serving in the military, along with their sons; that’s how vitally important hemp was to America during World War II. Hemp seeds broadcast over eroding soil could reclaim land the world over. The farmed out desert regions can be brought back year after year, not only slowing the genocide of starvation but easing threats of war and violent revolution. Instead of a National Guard, why not establish a Natural Guard of environmental soldiers to be our front line for survival–planting trees, harvesting biomass (e.g., hemp) from marginal farm lands? A Natural Guard of electricians, plumbers, engineers and laborers who work re-building the infrastructure of America: our roads, bridges, dams, canals, sewers, railroad tracks, etc. Isn’t this the humane, civilized and socially responsible way to use our human resources, rather than warehousing people like animals in prisons? The most recent time america asked our farmers to grow more marijuana was in 1942, in a 14-minute propaganda piece entitled Hemp for Victory. Following is a transcript of the film’s dramatic narrative (courtesy of High Times Magazine). Long ago, when these ancient Grecian temples were new, hemp was already old in the service of mankind. For thousands of years, even then, this plant had been grown for cordage and cloth in China and elsewhere in the East. For centuries prior to about 1850 all the ships that sailed the western seas were rigged with hempen rope and sails. For the sailor, no less than the hangman, hemp was indispensable. A 44-gun frigate like our cherished “Old Ironsides” took over 60 tons of hemp for rigging, including an anchor cable 25 inches in circumference. The Conestoga wagons and prairie schooners of pioneer days were covered with hemp canvas. Indeed the very word canvas comes from the Arabic word for hemp. In those days hemp was an important crop in Kentucky and Missouri. Then came cheaper imported fibers for cordage, like jute, sisal and Manila hemp, and the culture of hemp in America declined. But now, with Philippine and East Indian sources of hemp in the hands of the Japanese, and shipment of jute from India curtailed, American hemp must meet the needs of our Army and Navy, as well as of our industry. In 1942, patriotic farmers at the government’s request planted 36,000 acres of seed hemp, an increase of several thousand percent. The goal for 1943 is 50,000 acres of seed hemp. In Kentucky much of the seed hemp acreage is on river bottom land such as this. Some of these fields are inaccessible except by boat. Thus plans are afoot for a great expansion of a hemp industry as a part of the war program. This film is designed to tell farmers how to handle this ancient crop now little known outside Kentucky and Wisconsin. This is hemp seed. Be careful how you use it. For to grow hemp legally you must have a federal registration and tax stamp. This is provided for in your contract. Ask your county agent about it. Don’t forget. Hemp demands a rich, well-drained soil such as is found here in the Blue Grass region of Kentucky or in central Wisconsin. It must be loose and rich in organic matter. Poor soils won’t do. Soil that will grow good corn will usually grow hemp. Hemp is not hard on the soil. In Kentucky it has been grown for several years on the same ground, though this practice is not recommended. A dense and shady crop, hemp tends to choke out weeds. Here’s a Canada thistle that couldn’t stand the competition, dead as a dodo. Thus hemp leaves the ground in good condition for the following crop. For fiber, hemp should be sewn closely, the closer the rows, the better. These rows are spaced about four inches. This hemp has been broadcast. Either way it should be sown thick enough to grow a slender stalk. Here’s an ideal stand: the right height to be harvested easily, thick enough to grow slender stalks that are easy to cut and process. Stalks like these here on the left yield the most fiber and the best. Those on the right are too coarse and woody. For seed, hemp is planted in hills like corn. Sometimes by hand. Hemp is a dioecious plant. The female flower is inconspicuous. But the male flower is easily spotted. In seed production after the pollen has been shed, these male plants are cut out. These are the seeds on a female plant. Hemp for fiber is ready to harvest when the pollen is shedding and the leaves are falling. In Kentucky, hemp harvest comes in August. Here, the old standby has been the self-rake reaper, which has been used for a generation or more. Hemp grows so luxuriantly in Kentucky that harvesting is sometimes difficult, which may account for the popularity of the self-rake with its lateral stroke. A modified rice binder has been used to some extent. This machine works well on average hemp. Recently the improved hemp harvester, used for many years in Wisconsin, has been introduced in Kentucky. This machine spreads the hemp in a continuous swath. It is a far cry from this fast and efficient modern harvester, that doesn’t stall in the heaviest hemp. In Kentucky, hand cutting is practiced in opening fields for the machine. In Kentucky, hemp is shucked as soon as safe, after cutting, to be spread out for retting later in the fall. In Wisconsin, hemp is harvested in September. Here the hemp harvester with automatic spreader is standard equipment. Note how smoothly the rotating apron lays the swaths preparatory to retting. Here it is a common and essential practice to leave headlands around hemp fields. These strips may be planted with other crops, preferably small grain. Thus the harvester has room to make its first round without preparatory hand cutting. The other machine is running over corn stubble. When the cutter bar is much shorter than the hemp is tall, overlapping occurs. Not so good for retting. The standard cut is eight to nine feet. I saw that smile! . The length of time hemp is left on the ground to ret depends on the weather. The swaths must be turned to get a uniform ret. When the woody core breaks away readily like this, the hemp is about ready to pick up and bind into bundles. Well-retted hemp is light to dark grey. The fiber tends to pull away from the stalks. The presence of stalks in the bough-string stage indicates that retting is well underway. When hemp is short or tangled or when the ground is too wet for machines, it’s bound by hand. A wooden bucket is used. Twine will do for tying, but the hemp itself makes a good band. When conditions are favorable, the pickup binder is commonly used. The swaths should lie smooth and even with the stalks parallel. The picker won’t work well in tangled hemp. After binding, hemp is shucked as soon as possible to stop further retting. In 1942, 14,000 acres of fiber hemp were harvested in the United States. The goal for 1943 is 300,000 acres of fiber hemp. Thus hemp, the old standby cordage fiber, is staging a strong comeback. This is Kentucky hemp going into the dryer at a mill at Versailles. In the old days braking was done by hand. One of the hardest jobs known to man. Now the power braker makes quick work of it. Spinning American hemp into rope yarn or twine in the old Kentucky river mill at Frankfort, Kentucky. Another pioneer plant that has been making cordage for more than a century. All such plants will presently be turning out products spun from American-grown hemp: twine of various kinds for tying and upholsterer’s work; rope for marine rigging and towing; for hay forks, derricks, and heavy duty tackle; light duty firehose; thread for shoes for millions of American soldiers; and parachute webbing for our paratroopers. As for the United States Navy, every battleship requires 34,000 feet of rope; and other ships accordingly. Here in the Boston Navy Yard, where cables for frigates were made long ago, crews are now working night and day making cordage for the fleet. In the old days rope yarn was spun by hand. The rope yarn feeds through holes in an iron plate. SAYANIM ~ ISRAELI OPERATIVES IN THE U.S.
OBAMA-CLINTON: GHOST RIDERS INTO THE NIGHT? CHINA SEZ THIS ABOUT IRAN ~ UH OH!